Our new budget terrace system terrace with shop. 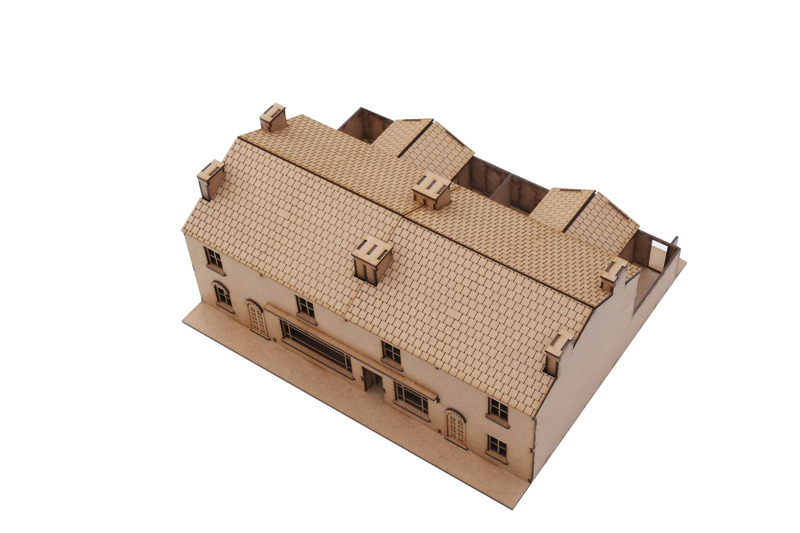 This is a two terrace/shop variation of our fully engraved terrace house system. We have limited the engrave to the roof tiles and there is no detailed interior. 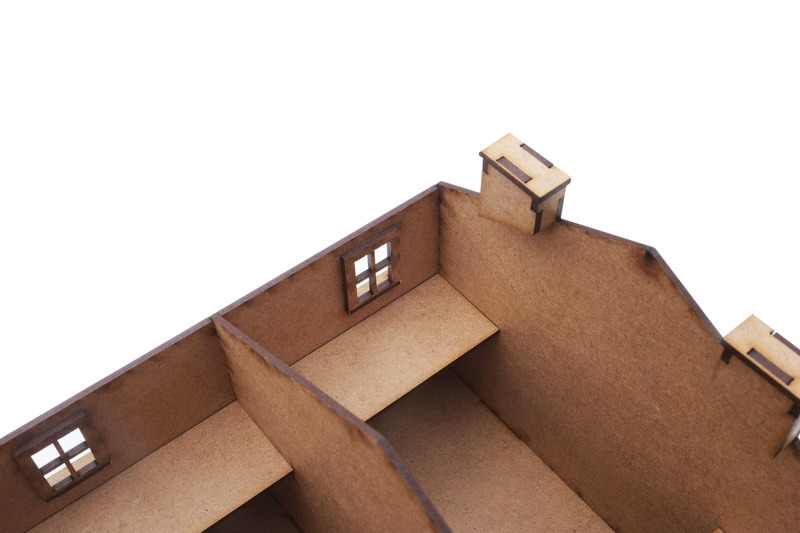 We have put a small ledge behind the first floor windows so you can stand figures behind the windows and it would be easy to make a floor that rests on the ledges should you wish. The kit includes detailed windows with sills and doors. 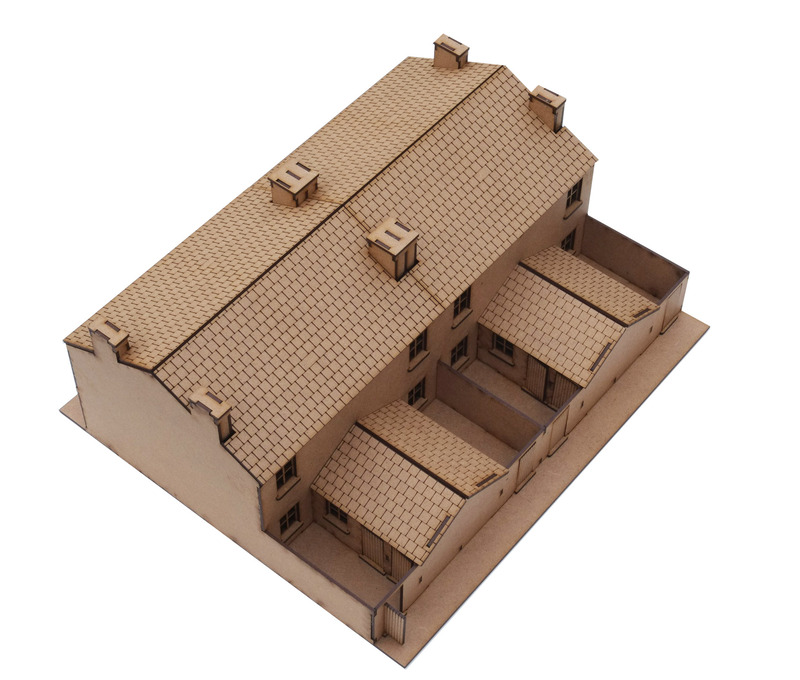 The model is based on small two-up-two-down terraces from Victorian London and are great for a variety of gaming systems and scenarios. The terrace measures 320mmmm wide x 230mm deep x 125mm high. The kit comes unassembled and needs gluing with PVA and painting.